Durability/breathability ratio you can bank on Simms’ develops all its women’s waders with beta from the world’s best female guides. 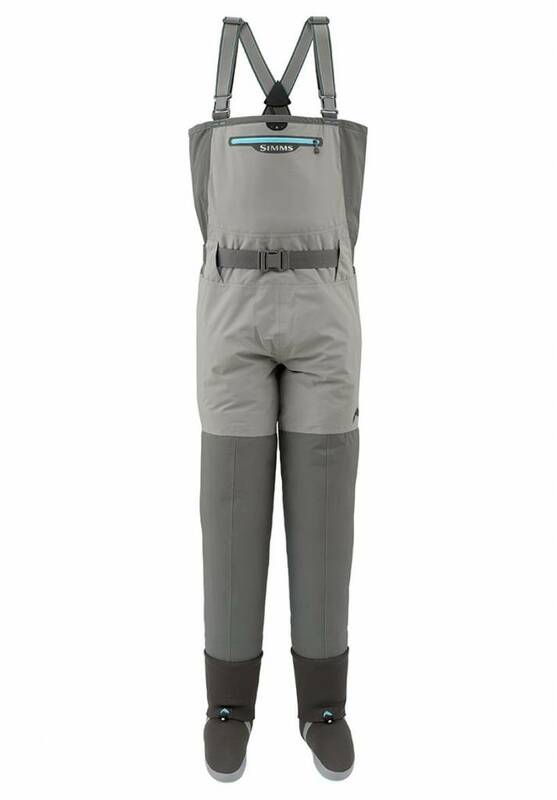 Enter the new Freestone® Stockingfoots, where articulated patterning in cahoots with center leg seams prioritize fit for appreciated fishing comfort. 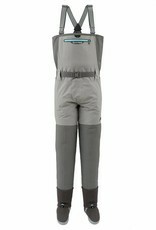 The Toray® QuadraLam™ perimeter breathes easy, repels water, and bushwhacks with conviction, while waders conveniently convert from chest- to waist-high level thanks to reversible suspender buckles. Fleece-lined reach-through pockets keep hands nimble through nuclear weather and amplify storage options. And, finally, exercise your right to accessorize via an internal zipper interface that synchs with the Tippet Tender™ Pocket or Waterproof Wader Pouch (both sold separately). Simms’ best warranty in wading comes standard.